Our "12 Days Of Giving" Gift Card Sale Is Here! | BRAVO! Written on November 9, 2017. The “12 Days Of Giving” Are BACK! They say it is better to give than receive… but what if you could receive when you give? You can with the annual BRAVO!, Broad Street, and Sal & Mookie’s 3-in-1 gift card sale! Buy 3 cards, get 1 FREE, and 10% goes to your favorite local charity! This once-a-year sale is on now through November 20th, so don’t miss it! 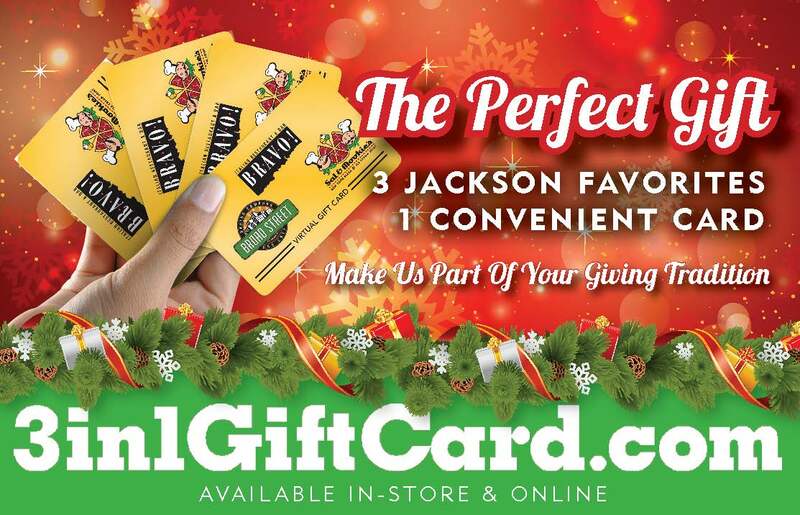 Order online at 3in1giftcard.com or visit any of our three restaurants to buy in person. Buy 3, get 1 free, no limits… give as many as you wish…get as many as you want! All while helping local charities. 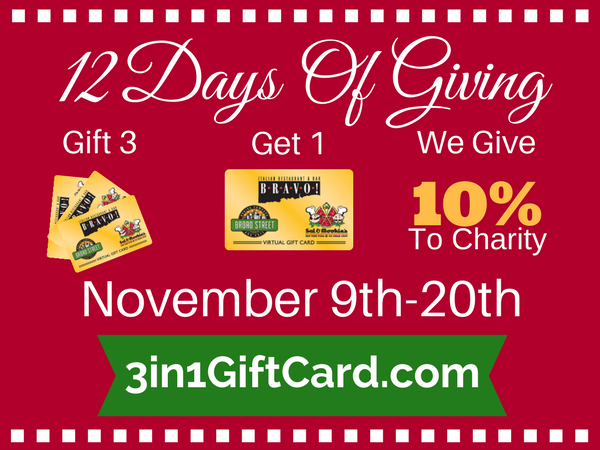 The BRAVO!, Broad Street, Sal & Mookie’s 3-in-1 gift card truly is the gift that keeps on giving! Sale ends November 20th, no purchase limit, visit 3in1giftcard.com to take advantage of the best deal in town NOW! « Launching Lunchtime Favorites- For $11!